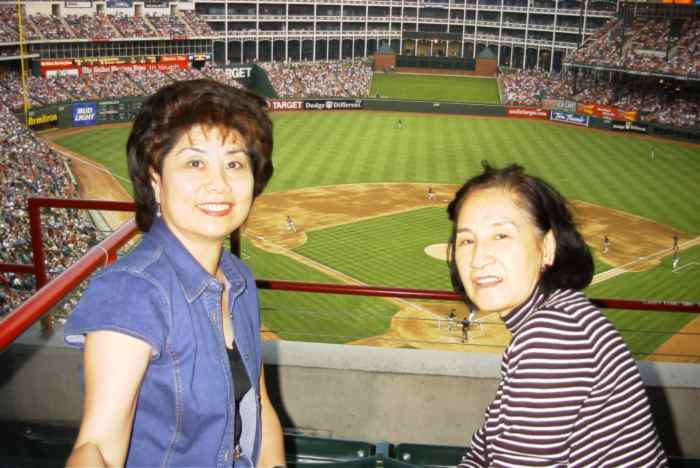 Angie and Shao Mai picked a seat outside with a perfect view of the field. The temperature was just right, and we spent most of the evening outside. by James W. Harrison. All rights reserved.